Apple's Initial Sapphire Production to Target iWatch, Not iPhone 6? 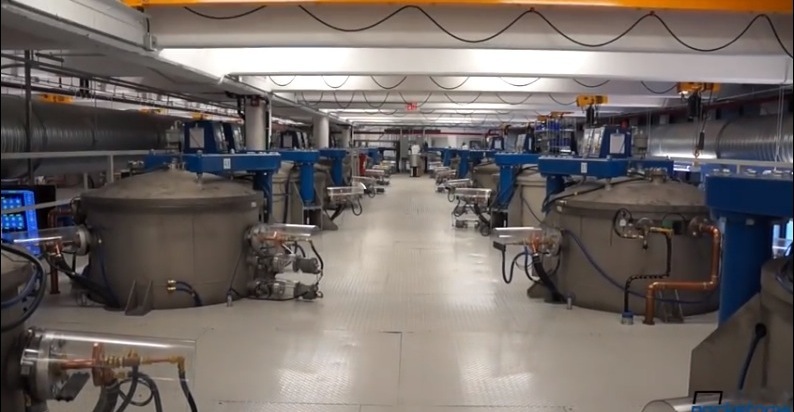 Evidence has made clear that Apple is investing heavily in sapphire for its future products with the company working with partner GT Advanced Technologies to start production of the material in a new Arizona plant. Earlier reports suggested the sapphire is likely for the next-generation iPhone, but G 4 Games points to new reports from Asian supply chain sources speaking to MyDrivers [Google Translate] and PCPOP [Google Translate] claiming the iWatch will be the first Apple device to be equipped with the scratch-resistant material. According to the reports, the biggest factor in using sapphire for the iWatch and not the next iPhone is cost, with the price of sapphire driving up the retail price tag of the iPhone. A price increase could be detrimental to Apple as the iPhone already has a premium price tag. According to Chinese media sources (which are citing “Taiwan supply chain insiders”), Apple has put a lot of effort into fitting the next iPhone with a sapphire screen. These sources claim that “beta” iPhone units (read: some of the prototypes Apple is currently testing) are already sporting sapphire protected panels, but unfortunately, chances are that they will not make it on the final product. The problem is not necessarily due to low yield (which still is a problem, at least until Apple’s [Arizona] plant will be fully operational), but mainly because fitting a sapphire screen on the next iPhone would make its price skyrocket. Fortunately though, the same sources also say that Apple will manage to fit sapphire screens on the rumored iWatch. The smartwatch is said to feature a 2 inch panel, and evidently, the production costs would be much lower. Though the iWatch would certainly benefit from a sapphire layer to protect its display, the volume of raw material and equipment Apple is purchasing hints at much bigger plans than a 2-inch watch display. Apple allegedly has ordered enough furnaces to manufacture approximately 200 million 5-inch sapphire displays, a volume which would meet the yearly demand for its iPhone product line. In 2013, Apple sold approximately 150 million iPhones worldwide. Production costs were estimated to about $25 if i remember right. Will it really be that more expensive? How about sticking with the said focus to build great products. News flash sheep like companies. Nobody wants to wear a watch. That's why everyone stopped a long time ago. My guess lots will buy into the fad just like the companies did. But once the honeymoon is over people will just start looking at their phone again to get the time. I never even realised that I didn't want to wear a watch. I shall now put my watch in its box and hide it away at the back of a drawer as I've stopped wearing one. I'll also stay away from Watchuseek. Actually, my wife would probably think that's a good idea. It would stop me spending large amounts of money on watches. That I don't want, apparently. If they really want to go with the best materials they should not use aluminium. The best choice for a high-end watch is titanium: incredibly resistant, very light and hypoallergenic. I keep hearing that sapphire is very scratch resistant but also brittle. If that's the case why would Apple want to use it for a phone display? GT Advance makes several formulas of their sapphire glass. My best guess? Sapphire/Silicon laminate to get the best of both worlds. This makes the most sense to me as GT Advance acquired the assets of Twin Creek; specifically their ion cannon technology (Hyperion). On topic: Did anyone actually think Apple would debut the larger scale production of sapphire glass on their flagship? As others have stated. A watch allows Apple to work out any unforeseen issues without disruption of their main business. It's for both of them. Apple allegedly has ordered enough furnaces to manufacture approximately 200 million 5-inch sapphire displays, a volume which would meet the yearly demand for its iPhone product line. Presumably the furnace orders also include plenty of cutting equipment (https://forums.macrumors.com/showpost.php?p=18353517&postcount=58). All the sapphire boules in the world are useless without a way to slice them up. For a phone, they'd use super thin sapphire on top of a thicker and stronger and cheaper glass substrate. For an iWatch / iBand / iWhatever, they could do the same, or just use a thicker ($$) piece of sapphire for impact protection. Depends on how big they need it to be. Supposedly in mass production, the cost for a phone screen would drop to about $15. Still too high. However, that's a thick piece by itself, if no glass is used. If the sapphire part can be gotten super thin, maybe it could drop to less than $5 (?). iPhone 6S (Sapphire) It's too compelling to pass on. I'd love a scratch proof screen, and no, GG is not scratch proof. Sapphire isn't scratch proof either. (A diamond bracelet can scratch it. So can some fake stone counters.) But yes, it's much more scratch proof than GG. Using Vicker's Hardness scale, diamond is 10,000. Sapphire is about 2,300. Gorilla Glass is about 660.